The Incredible is one of the best eating corns around and is just like its name, incredible! 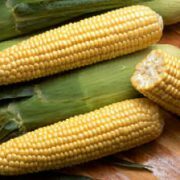 This corn has a great sugar content and has an excellent sweet taste. The corn husk offers great protection and grows very attractively. Incredible is a disease resistant corn that is a favorite! 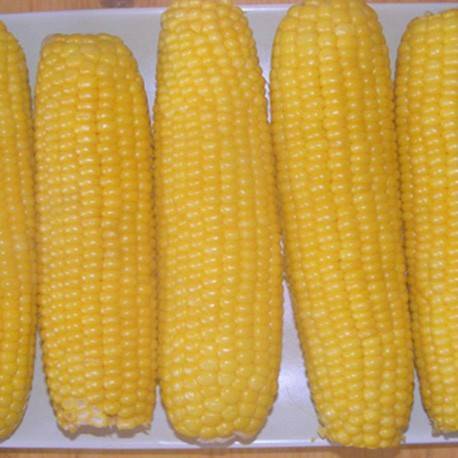 Corn is grown for its cob, to make popcorn or for ornamental decoration. It can be made in a variety of different ways, such as grilling, boiling or steaming. Before Planting: It is not recommended to start corn seeds indoors. Planting: Cold soil planting risks poor germination. Even treated corn seeds risk low germination under 60°F. Only treated seeds of good cold-germinating varieties may be sown in 55°F soil if warmer weather is anticipated. We recommend planting UNTREATED seeds when soil is warm, at least 65°F. Floating row covers may be used on early plantings to help moderate soil temperature. Each corn variety will state if it is TREATED or UNTREATED in the characteristics tab. Keep Super Sweets corn varieties a minimum of 300 feet from non-Super Sweet varieties. Sow 3/4-1″ deep, 6-7″ apart (treated) & 4-5″ (untreated), rows 30-36″ apart. Arrange in blocks of at least 4 rows for proper pollination, which is needed for well-filled ears. 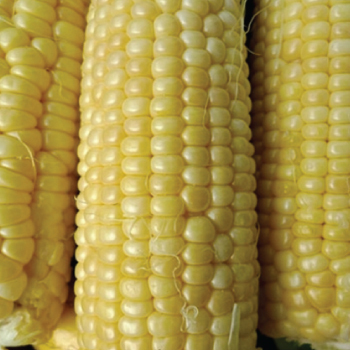 Successive plantings can be made through early summer; most growers prefer to extend the sweet corn season by planting a few varieties of different maturities. Watering: Corn must be well-watered due to their shallow roots. Corn requires 5 gallons of watering per square foot of crop. Fertilizer: Fertilization can be done at the time of planting, as corn is meant to grow quickly, and it is a hungry plant. Fertilize the corn every 30 days. Corn doesn’t prefer a certain kind of fertilizer by following the fertilizer’s instructions. Days to Maturity: Varies widely with weather conditions and planting dates. Use these figures to compare one variety to another, not to accurately predict maturity on a given day. All corn varieties will have average maturity dates available. Also can be search by early, mid and late season harvest corn varieties. 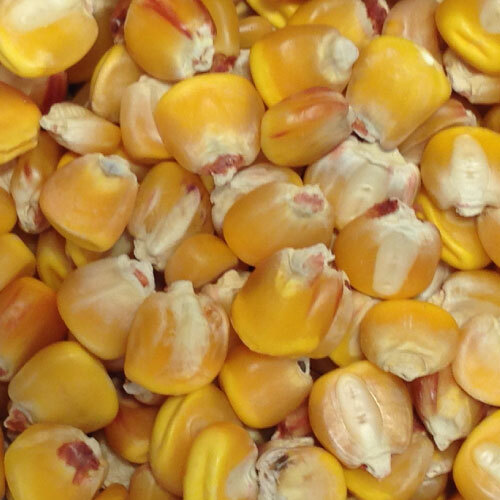 Harvesting: When kernels are full and “milky,” generally indicated by a drying and browning of the ear silks. Record the date on which about half the plants show silk. Corn is ready to eat 18-24 days after ear silks first show; the warmer the weather, the sooner you can pick it. Tips: Weed carefully to not damage the roots. Water retention may be done by mulching the corn plants. AVG. Seeding Rate: 1M/500′, 5M/2,500′, 25M/12,500′, 30M/acre at 2 seeds/ft. in rows 36″ apart. Seed Count: Average seed counts can be found on each variety corn variety page. On average a 1 ounce packet will sow a 75′ row at a seed sowed every 6″. This is the first corn I ever grew. Planted 28 seeds and grew 28 healthy stalks grew. All producing multiple ears. We have had good success with growing this variety of corn. My parents started growing it in Kansas and we used to get seed from them to grow in our garden in north central Arkansas. 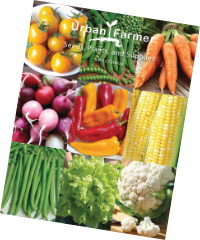 I can’t find the seed in any store locally and am thankful to be able to order it from Urban Farmer. I bought this locally four years ago. It was the most productive, delicious corn I’ve ever grown. I had purchased enough seed for two years. Which was good, since the local supplier went out of business. I was getting 3 ears a stalk, the third being a little smaller, yet still incredible!